In 1940 only 55% of new homes built had full facility plumbing. Today, nearly 100% of the homes have it. The size of families have decreased while the size of the home has increased. Appliances and fixtures are better crafted, last longer and are more efficient today than they were in 1940 leading to an increase in home value. 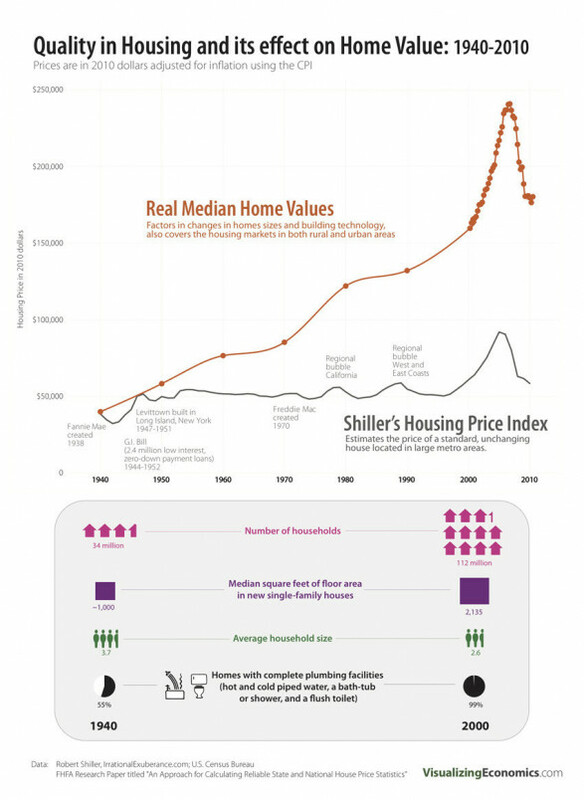 Take a look at the graphic from Visualizing Economics to see just how these improvements have effected the value of new home construction between 1940 and 2012.